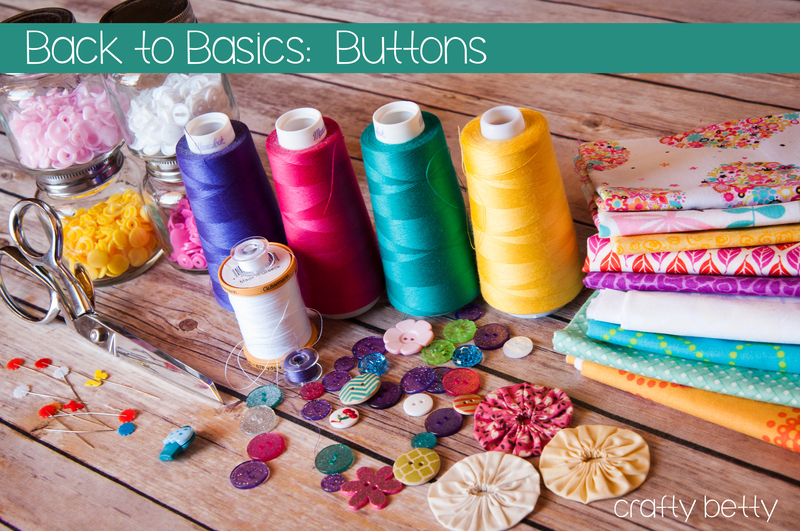 How to Sew a Buttonhole: Learn the basics for sewing buttons! 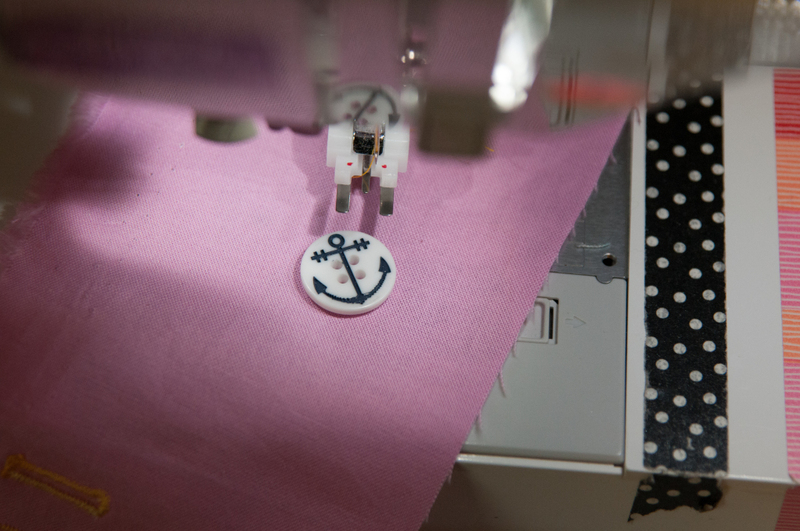 Sewing buttons used to be intimidating for me, but now I have some simple tricks to get my buttons sewn on just right every time! 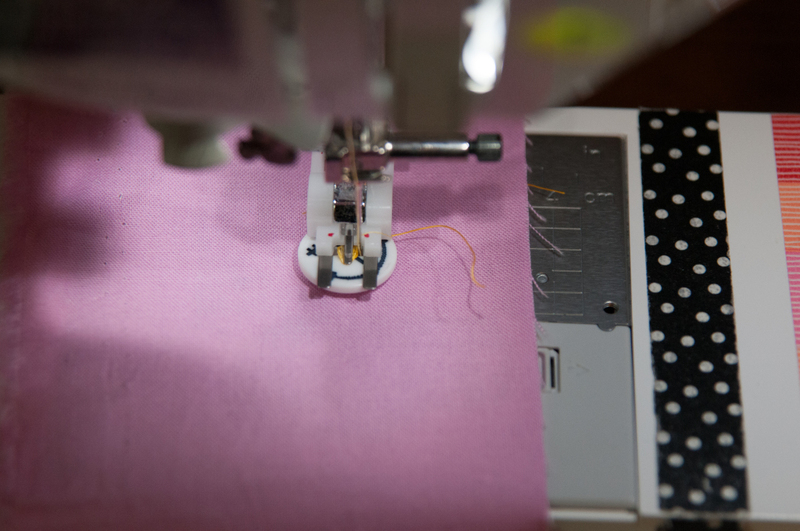 Let’s get back to basics and learn how to sew a buttonhole! 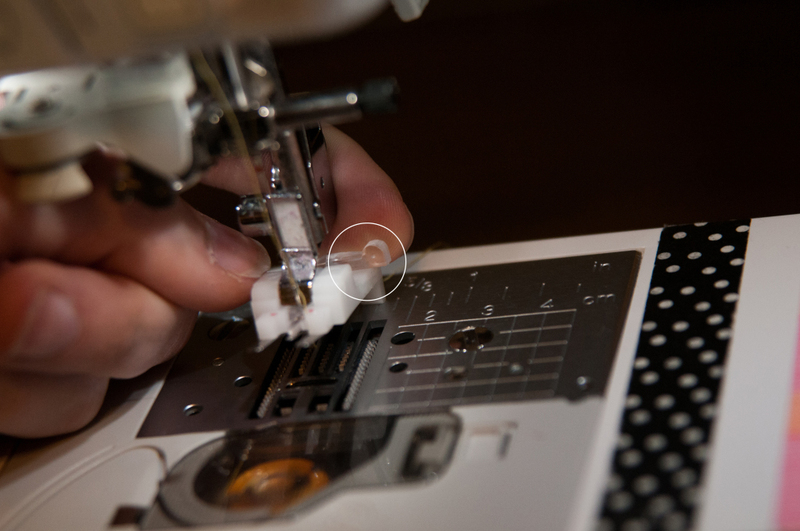 Each sewing machine has different settings for buttons and button holes. I have a Brother Innovis NX2000 and my machine is pretty automated when it comes to buttons. Your machine may have a different setting than mine. Be sure to consult your manual if you have questions about your particular machine. No matter the machine, there are two sewing machine feet every sewist should have in her collection: The Buttonholer Foot (left) and the Button Foot (right). 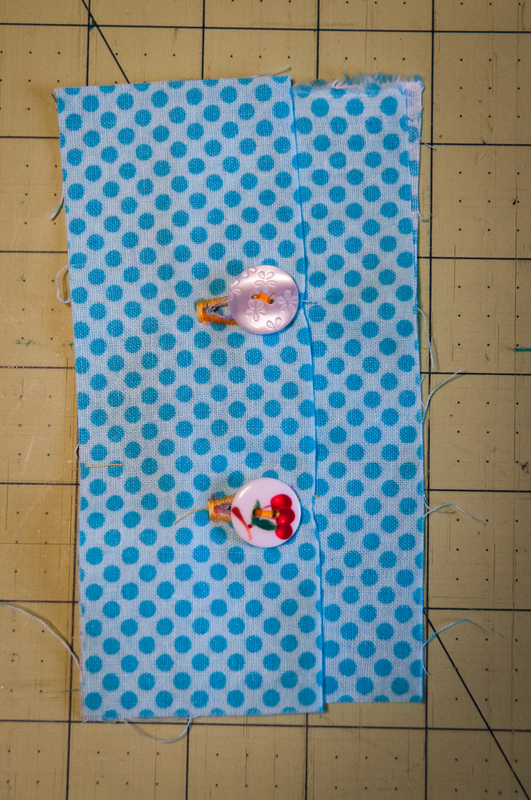 Now, to get started, let’s work on how to sew a buttonhole. 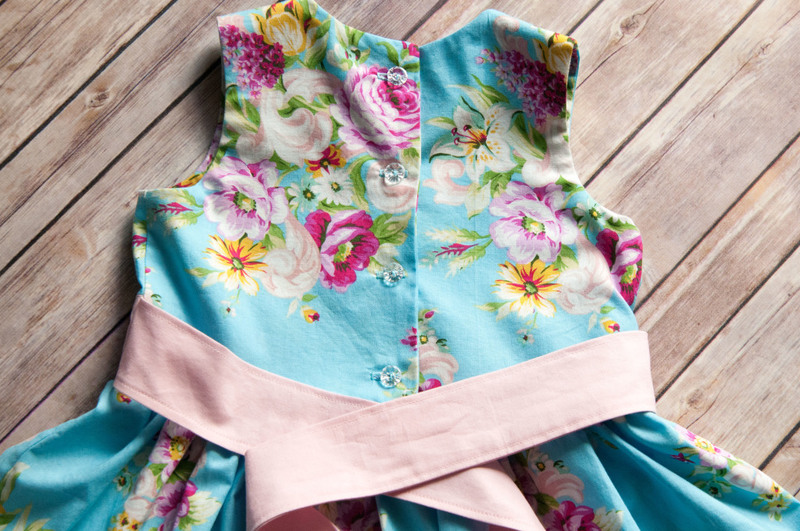 This is a very easy sew as far as your machine goes. The real issue comes with confidence and math (eek!) 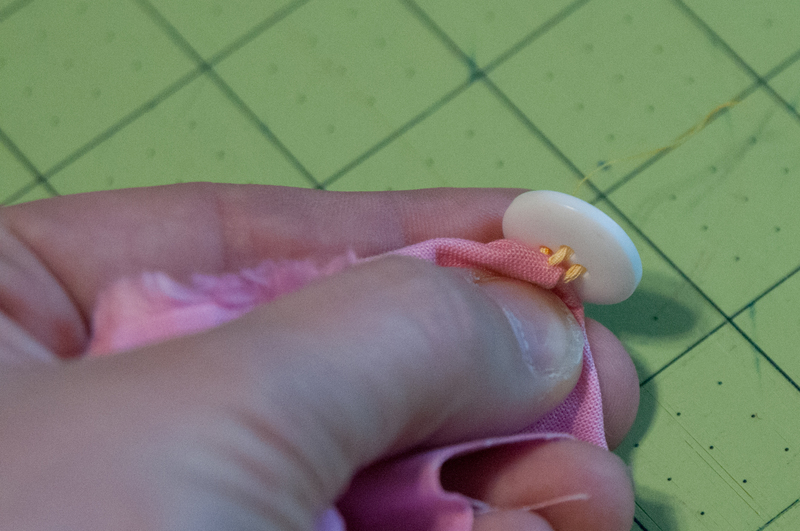 I cannot stress enough here that it is super valuable to practice making buttonholes. 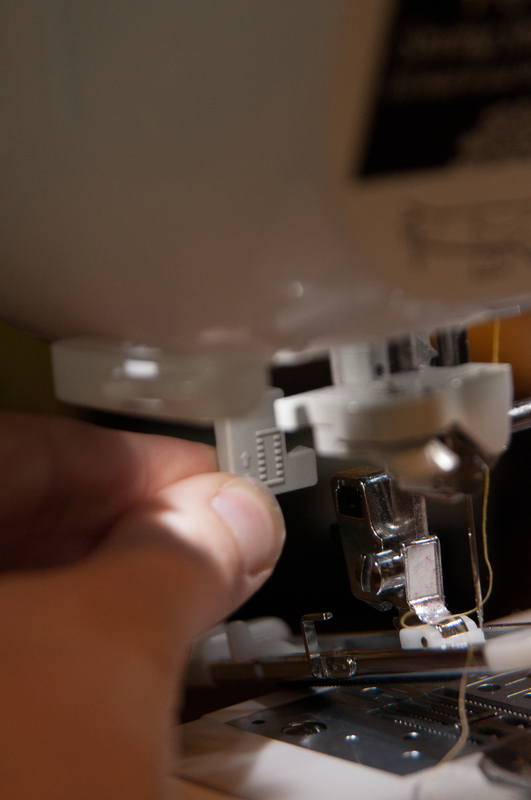 Every machine makes a button hole a little differently and it’s imperative you know how your machine makes a buttonhole before you start on a bodice and end up in tears. 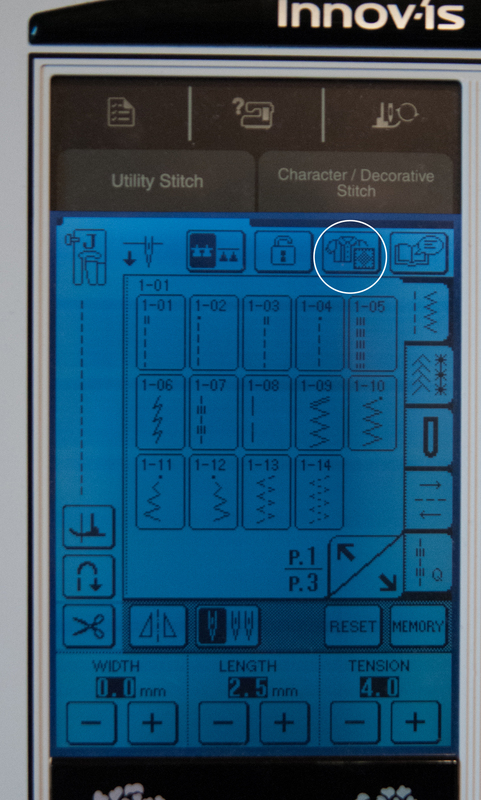 *been there, done that* Now that all my disclaimers are out there – my machine uses a little blouse symbol to get to the buttonhole menu. 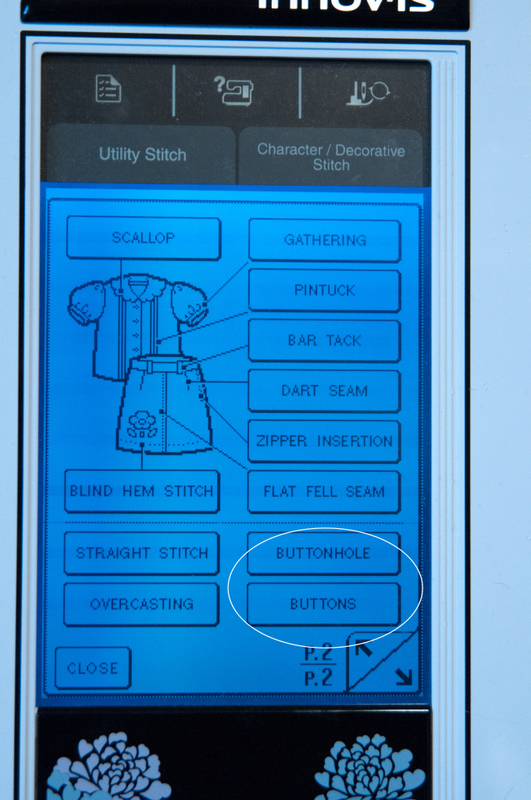 Divide the space in between the top and bottom button evenly with buttons to get the look you want. For Stella (size 6) I usually end up with four to five buttons across the back of a bodice that measures 9 inches. Remember, the size of the button will also adjust button placement. 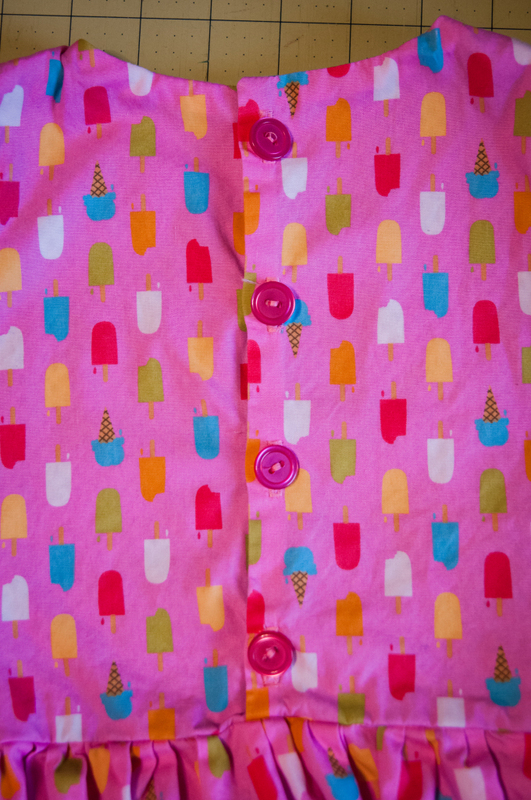 Once you have your buttons spaced out how you like them, use your fabric pen and make a mark on either end of the button. Then draw a line connecting them. Be sure to use your ruler to get the lines closest to flap of your garment even all the way across from top to bottom. If they are uneven, the button will pull funny. You are ready to place one button in the little slidey part of the buttonholer foot. Yes, that is a technical term. 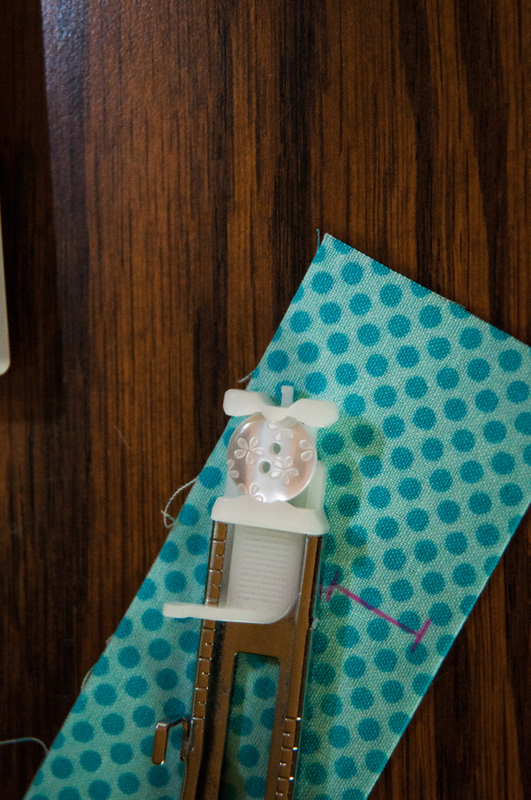 This part of the buttonholer foot actually determines what size your buttonhole will be. 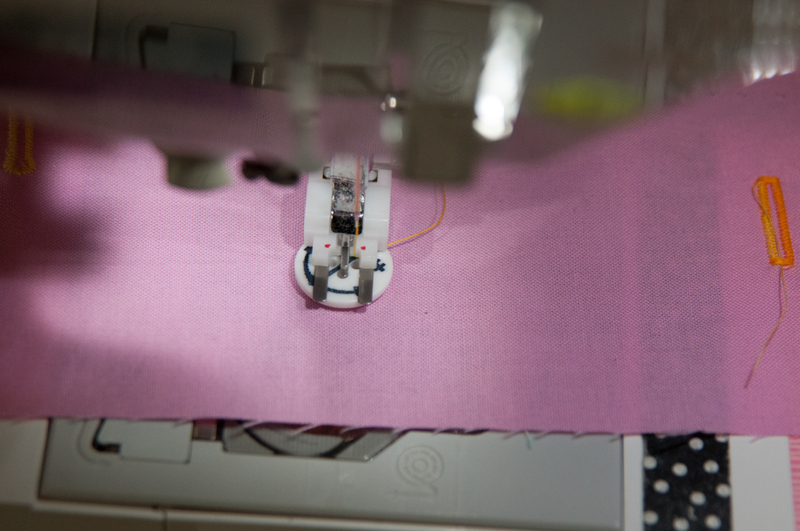 Make sure you are using a button you plan to sew to your garment (or at least one the same size). Now comes the scary part. Just kidding. This is not scary. You are going to practice first to be sure your machine does what you want. Grab a scrap and mark your button anywhere on the scrap. Put your buttonhole foot on your machine and lower the bracket. Make sure it is behind the metal bracket on the foot. See those marks on the buttonhole foot? They are like cross hairs. 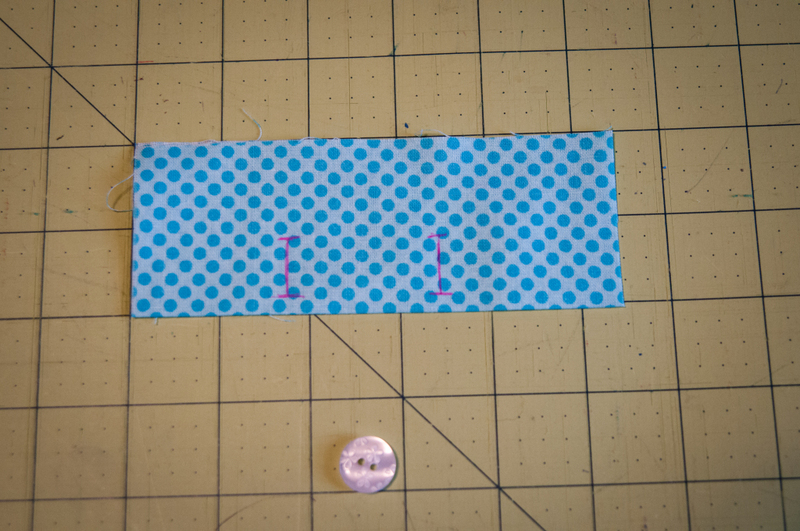 Line up the marks you made on your scrap of fabric so the line is away from you like mine. It’s time to chose your buttonhole style. Now – depending on your machine, it could cooperate and go away from you like you want, or it could come toward you. That very reason is exactly why you want to practice and not jump right to your garment. When you push down on your presser foot, you’ll see your machine make a long column and go back and forth a few times. It typically works from left to right and will swing back around to make your selected buttonhole. This is pretty easy right? You can either go to your garment and sew your buttonholes at this point or practice opening up the buttonhole. 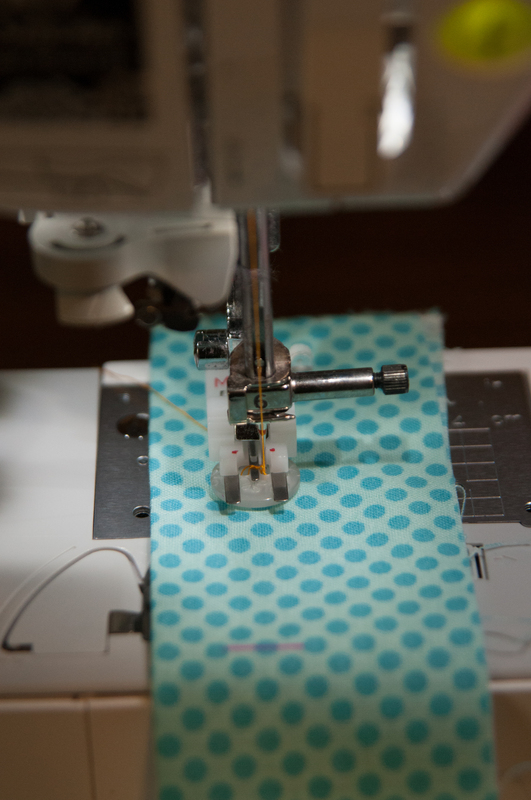 Using a seam ripper start on one end of your buttonhole and gently (and slowly) move toward the other side of the buttonhole. If you are nervous you could also use a very sharp, pointy scissors to snip the center open. In either case, be careful not to go past your buttonhole and accidentally rip your garment. A good trick to prevent any accidents is to stick a pin horizontally through the end of the buttonhole so your seam ripper can’t go past that point. Time to line everything up and add your buttons. Overlap your garment. 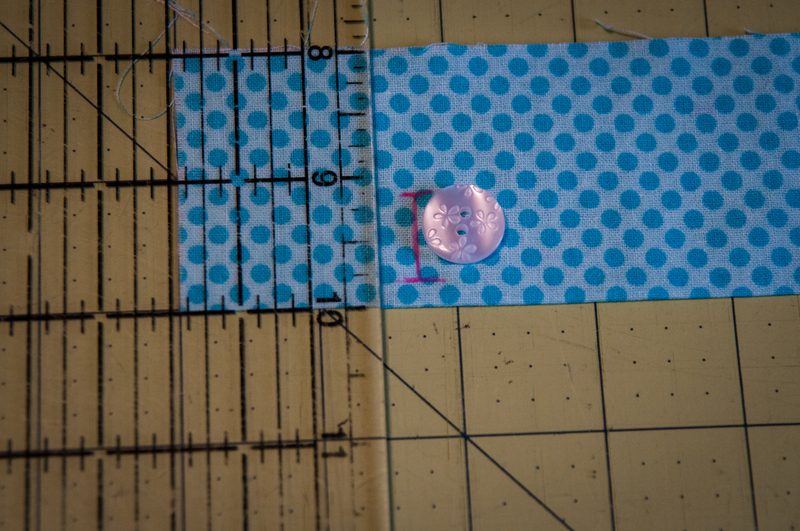 Be sure to consult your pattern and if nothing else make sure the overlap is as big as your button so your button will be all the way on the fabric. This is a great time for a fit test to make sure the garment will be the right size. 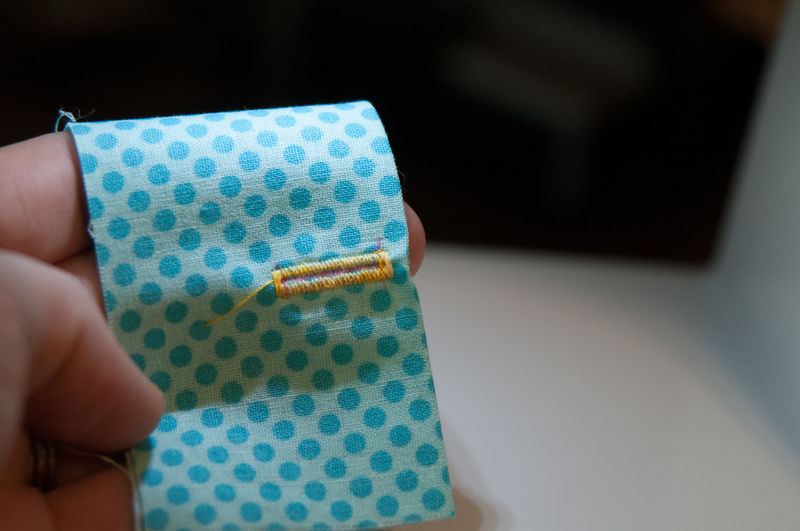 Using your fabric pen mark through the buttonholes. Pop your buttonhole foot off and add your button foot. You will need to adjust your settings back to button sewing. My button foot has those cross hairs again. 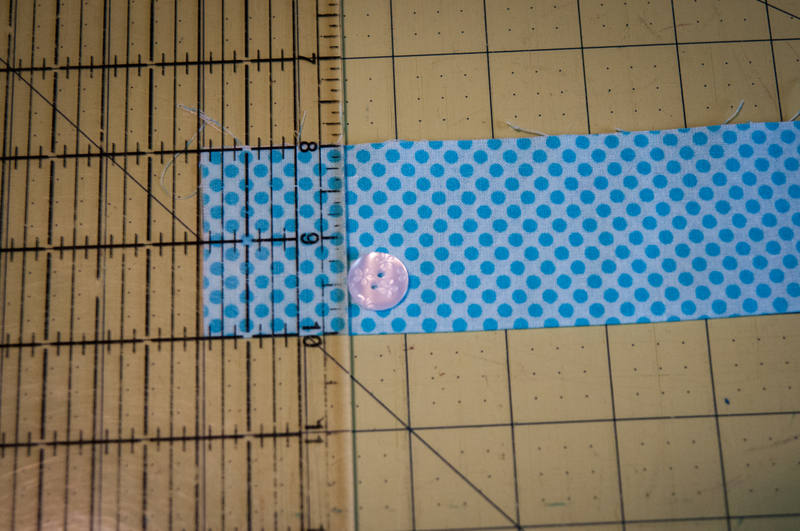 You want to line up the holes of your button to the dots on the foot. 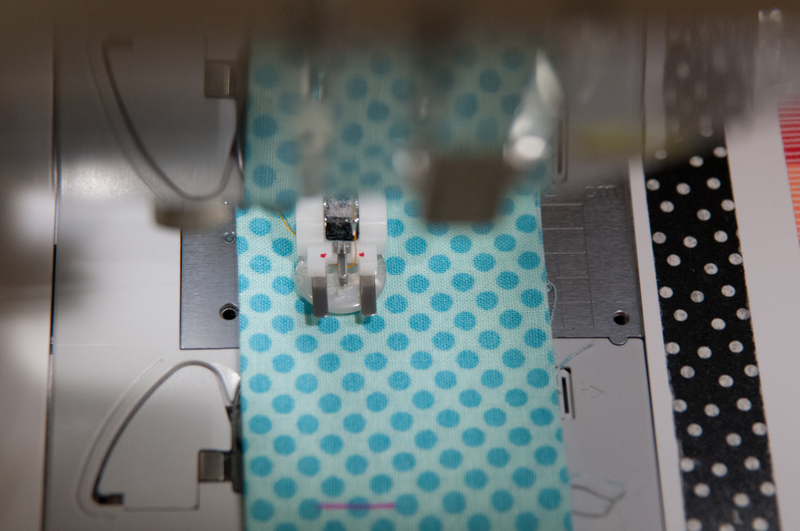 Use the manual wheel on the side of your machine to slowly lower your needle so you don’t jab the needle into the button when you get going. If it lines up – great. If not, do a little adjusting until it does. When you press down with your foot pedal the needle will jump from side to side over the little silver bar in the middle of the foot. When it’s done, it will tie a knot in the thread and you just clip the thread. 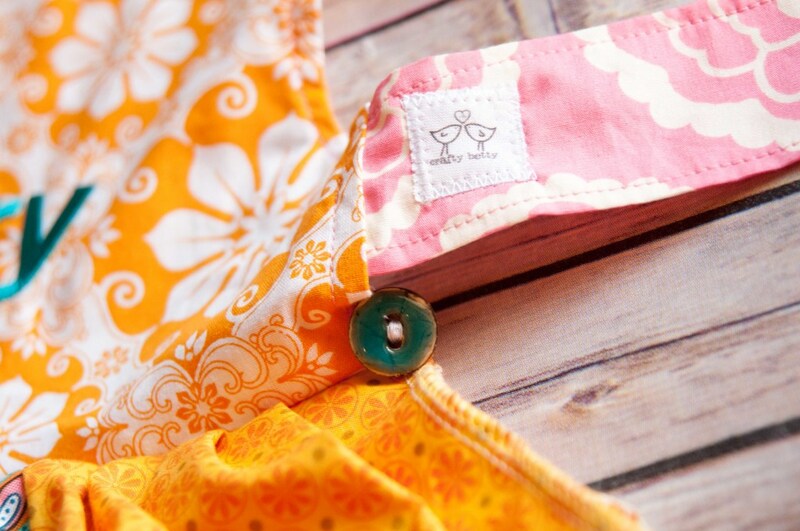 Sew on all your buttons and try them out! Mine are a little wonky because nothing is actually sewn down (like a real garment would be). 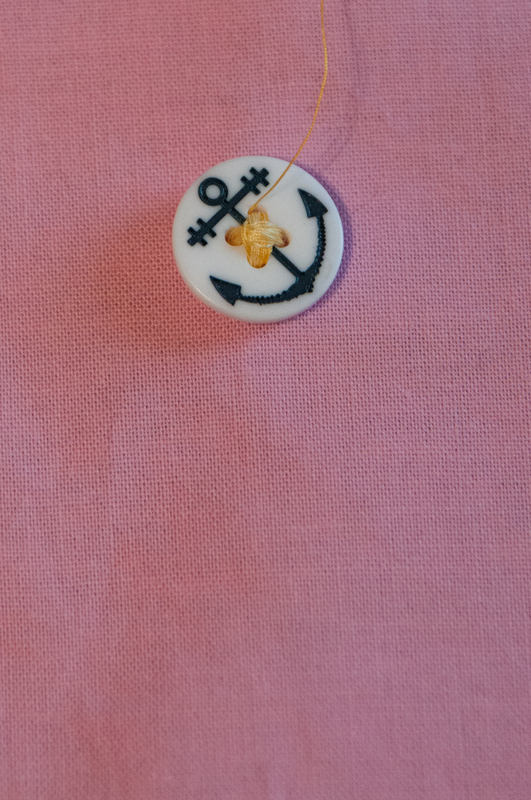 But what if my button is a super cute anchor and it has four holes and I want to sew it onto a jacket? No worries. 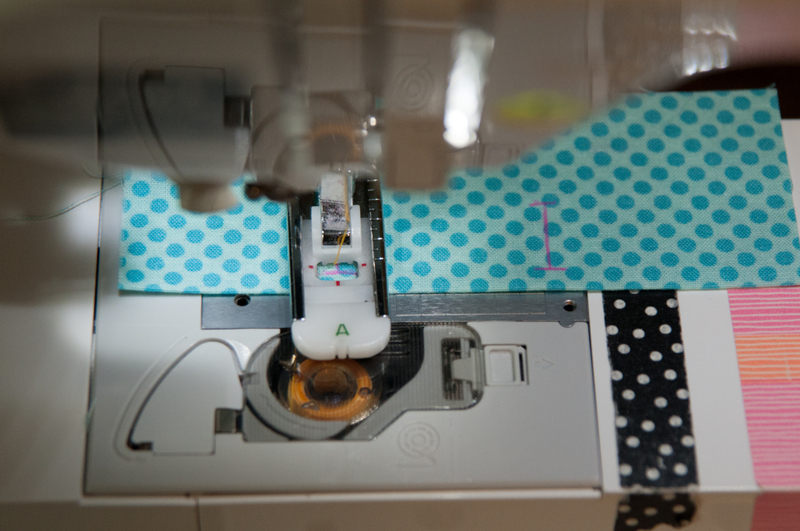 You will do the same steps just adjust your button to be diagonal and use the adjuster on the foot. 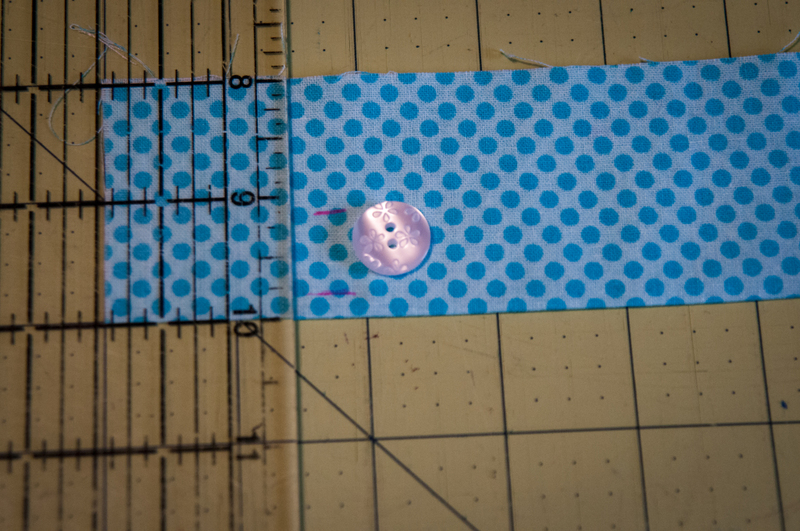 This little slider makes your button a little more loose so it will toggle and make room for thicker fabric. See how it’s lined up diagonally? Now flip it the other way and use the threads already sewn down as a guide. And look at all that room! 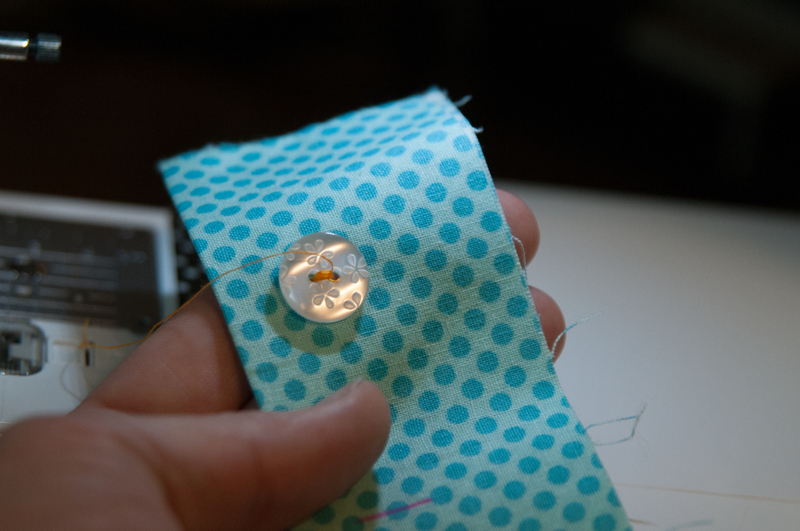 Sewing buttons and making buttonholes is easy once you get a little practice under your belt. Remember, buttons can serve a function but they can also be decorative. 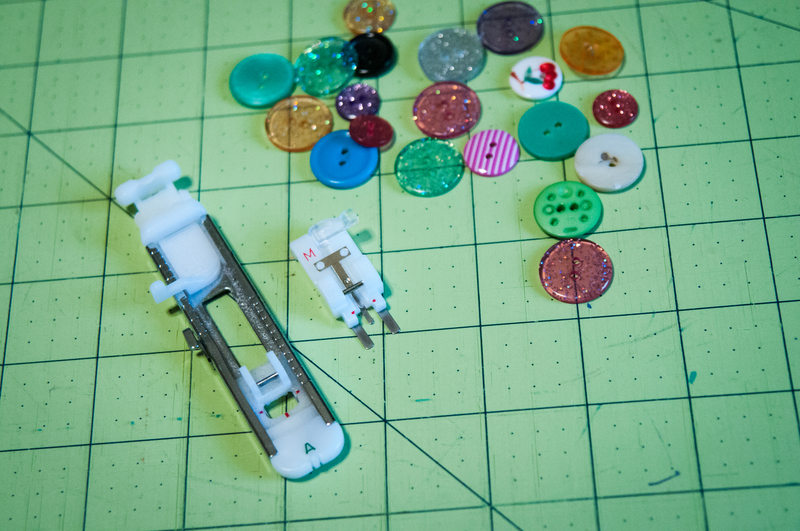 Since learning how to use my machine’s button features, I have found new excuses to put buttons on projects. 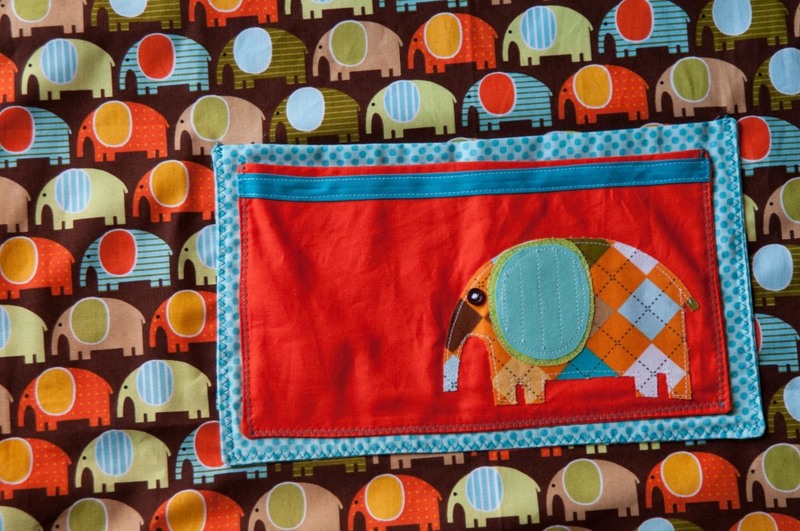 And – buttons can be so pretty! Head on over to my page and tell me how you store your buttons for a chance to win some buttons from my personal collection! 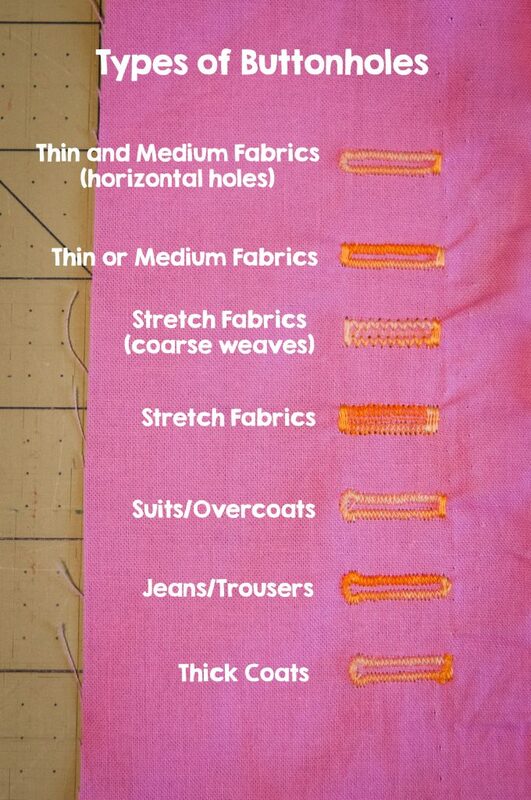 Now you know, how to sew a buttonhole! Happy sewing! Previous Post: « 2014 Highlights and the Top 10 Posts! Great tutorial. I would add one important thing. 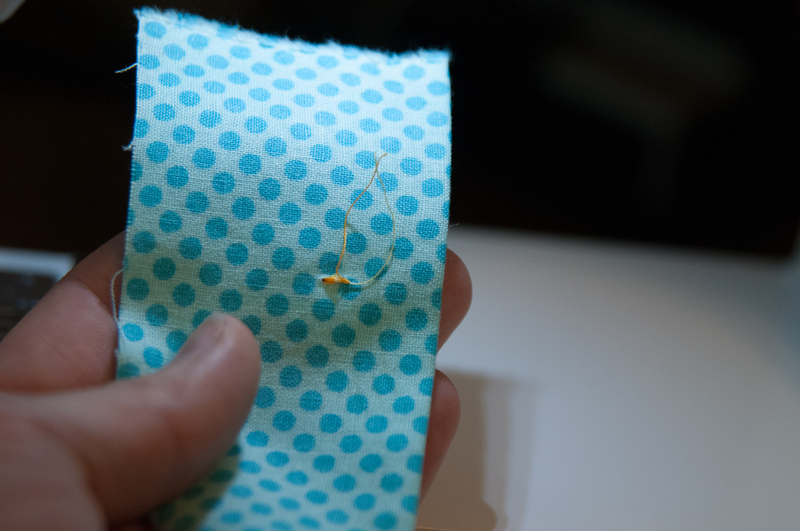 Your buttonholes will turn out much nicer and look nice much longer if you use a stabilizer. Either a sew in or even simpler an iron on . It is amazing!